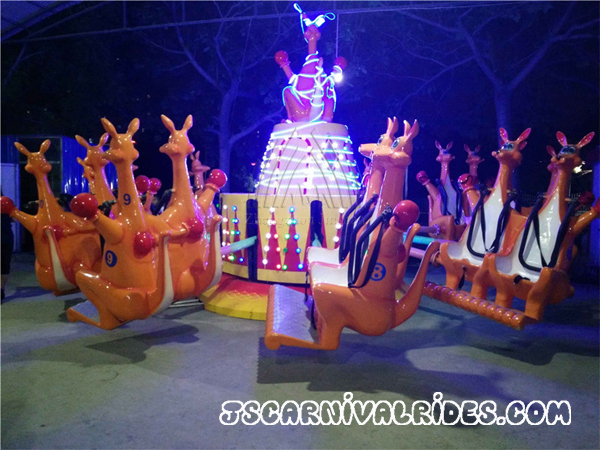 Happy jumping kangaroo rides is a new jumping amusement equipment. Its cabins includes six group of kangaroo design, and the lovely model suit for different ages. When it is operating, with the joyful music, the cabins is jumping with the rotation of equipment. It is a most popular amusement equipment because the vivid design and more funny.